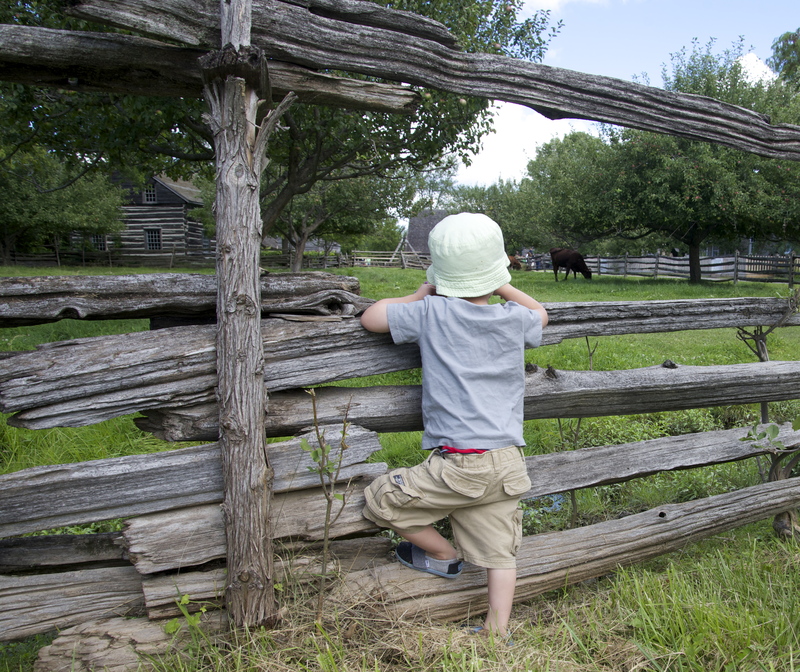 On our family vacation last week, we spent a fantastic day together at Upper Canada Village, in Eastern Ontario. While my son is a little young to grasp much history, he loved the farm animals, train ride, and especially milking a cow (ok, he “helped” me milk a cow, but still!). I was able to take in some history, when I wasn’t chasing him around the Confederation era farm. As a knitter, it was the wool factory that really captured my attention. 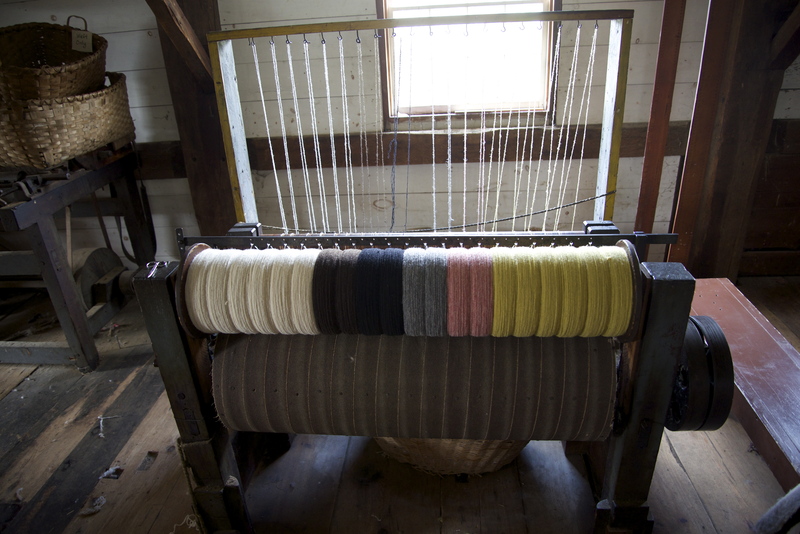 I didn’t associate Upper Canada in the mid-nineteenth century with the Industrial Revolution, nor do I tend to think of yarn as a factory made commodity, but the woolen factory certainly proved me wrong. The Asselstine Woolen Factory was originally built in 1828. 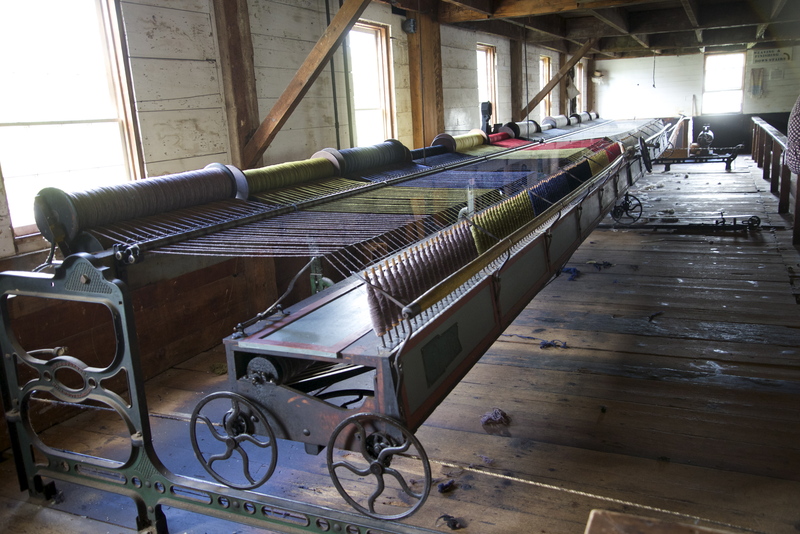 Between 1828 and the 1930’s, it employed mostly women who carded, spun and wove sheep’s wool into roving, yarn and blankets. 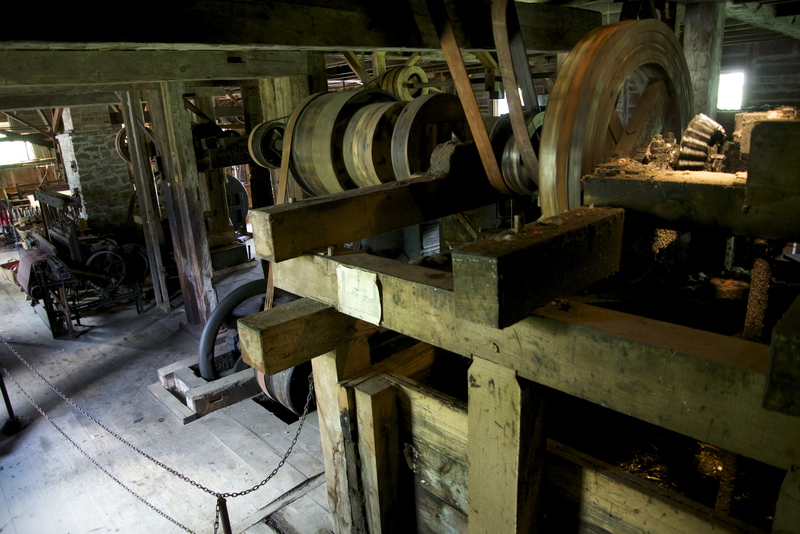 The water powered factory has been restored to working order, using almost exclusively technology from the 1860’s. 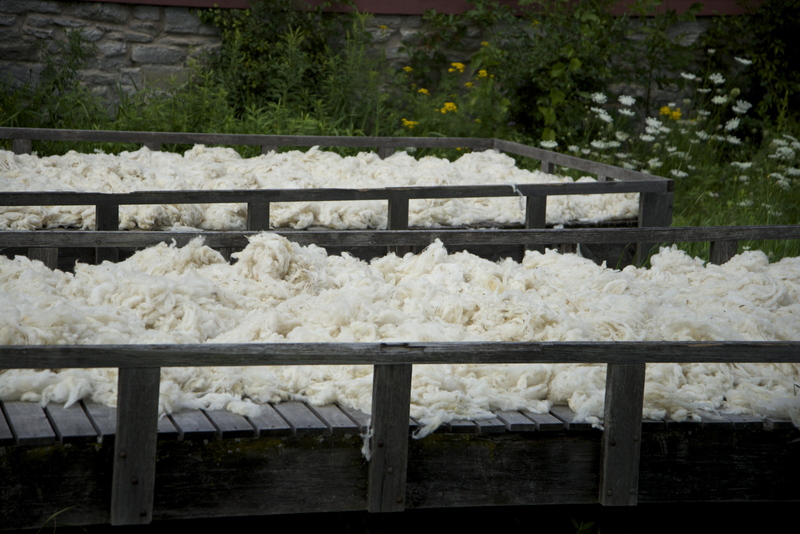 Large machines carded the wool and spun it into 1-ply for weaving. Some of the 1-ply was then doubled, tripled or quadrupled for knitters to purchase at general stores. A recreated sign reminded factory workers that while fashionable, hoops and crinolines are unsuitable for work around the large powerful machines. 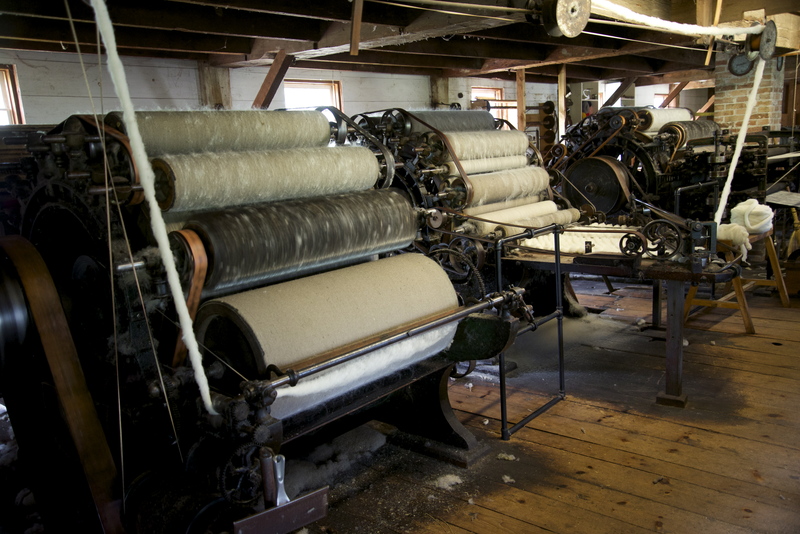 Today water still runs through the turbines, and the huge nineteenth century machines still turn the wool into 1-ply for weaving into blankets and 2-ply for purchase in the Village Store. I bought a few skeins of the wool in black and soft pink. It’s much thicker than the 2-ply you would buy at most yarn stores, and is much closer to worsted weight. 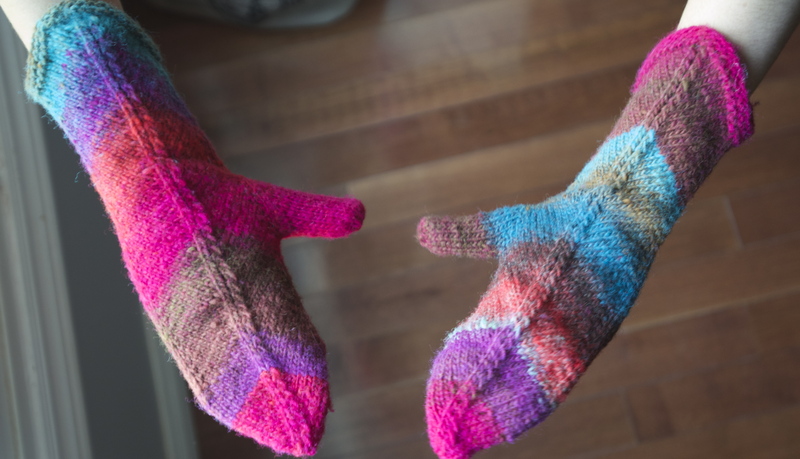 I can’t wait to turn it into some classic mitts to remind everyone of our family vacation – any thoughts on a pattern? 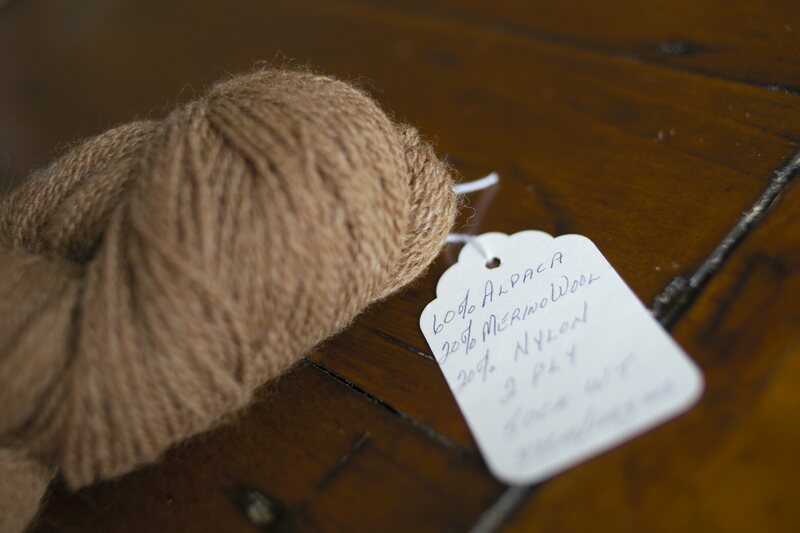 This entry was posted in Travel, Yarn and tagged history, Upper Canada Village, wool, yarn on August 15, 2013 by lisagono. It’s finally happening! We’re moving into our house. After 4 months of waiting, the house was even better than I remembered from our pre-offer showings. After several years of upheaval and change, I’m so grateful to be setting up a more permanent home for our family, one that’s all ours. I feel blessed, excited, overwhelmed and utterly exhausted. Unfortunately, our fabulous little house offered up one terrible surprise on closing day: moths. 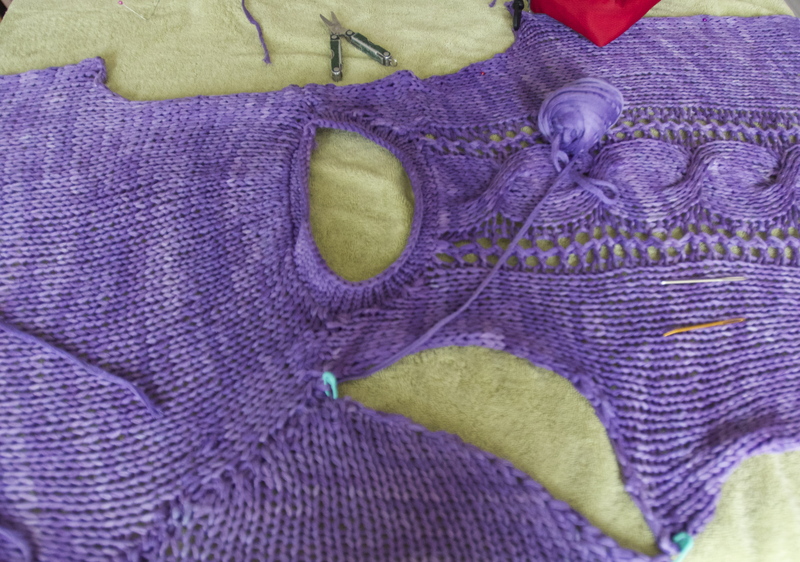 That’s right, the winged invader that every knitter and fashionista fears… moths. And before you ask, yes the clothes eating ones. While this unintentionally (?) hilarious trend piece in the Globe and Mail suggests there is nothing a priviledged urbanite can do, but buy new clothes, I refuse to admit defeat. I hope the cedar and cinnamon will keep the bugs away from the stockings, now that we have a hearth! This entry was posted in Yarn and tagged moth traps, mothballs, moths on June 20, 2013 by lisagono. This morning, we decided to catch the last day of the Royal Agricultural Fair, here in Toronto. I had never been before, and we were motivated primarily by the opportunity to let our little guy get out and meet some animals. Farm”) really enjoyed the fair. 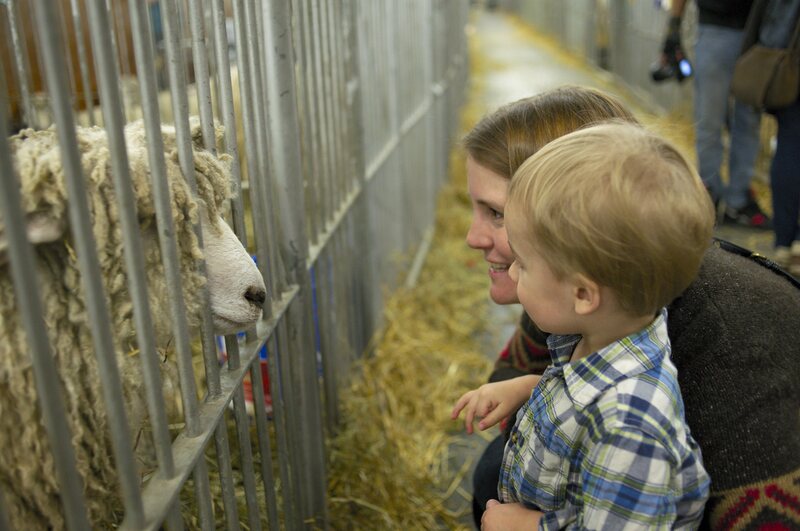 While it felt a bit of a incongruous in downtown Toronto, there were all the trappings of a country fair, from prize winning produce, square dancing and butter sculptures to horse shows, a petting zoo and loads of friendly farm animals. The sloppy kisses of a very friendly cow and the antics of the Super Dogs had all three of us laughing, in a way that reminded me why we drag ourselves out of our pjs and off the couch on Sunday mornings. For me our “family field trips” are the absoloute best moments of any week. What I had not anticipated was how interesting the fair would be for a knitter. 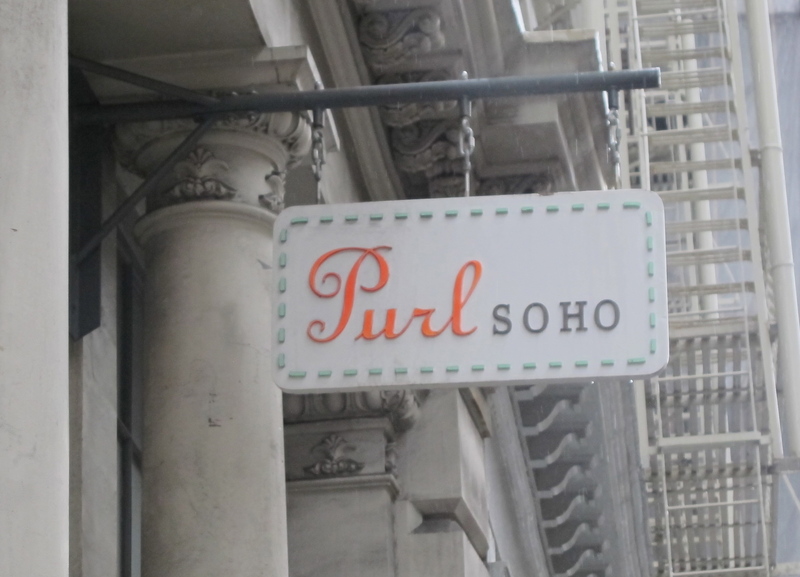 It was fun (and a little strange) to see where and how the wool, alpaca and angora makes it to my local yarn store. 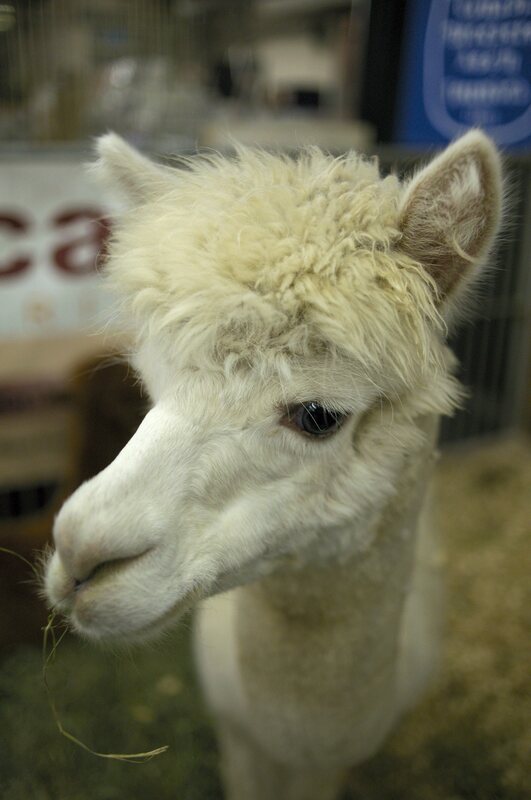 The highlight for me came from a booth run by the friendly farmers of the Meadowview Alpaca Farm. 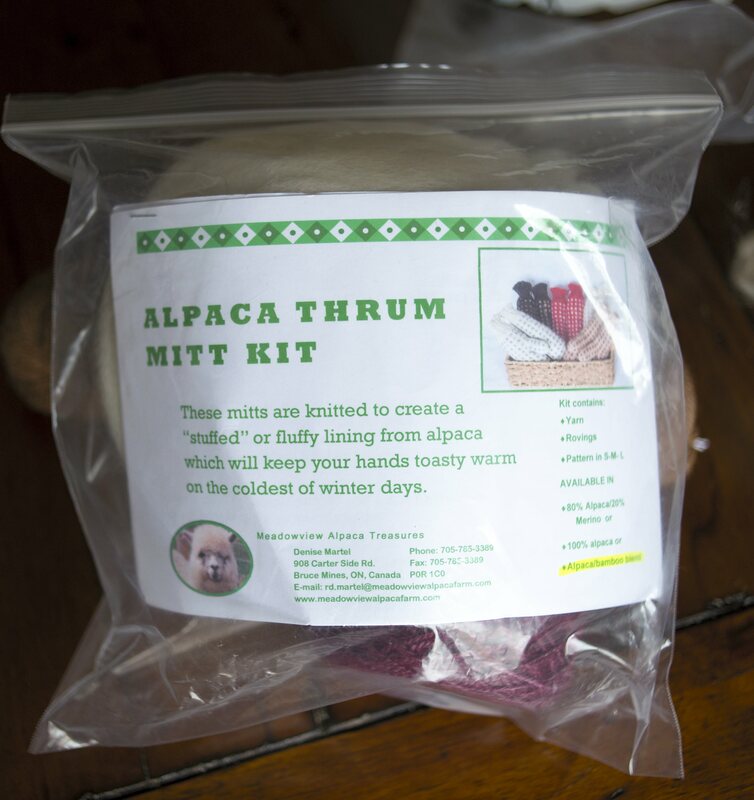 They breed and raise alpaca, and sell yarns, fibres and accessories produced from their livestock. Their booth was stocked with fluffy and unbelievably soft yarn, and I was completely unable to resist dropping down my credit card. They were happy to answer any and all questions I had about the yarns and about their animals, in a way that let me know they really enjoy what they’re doing. 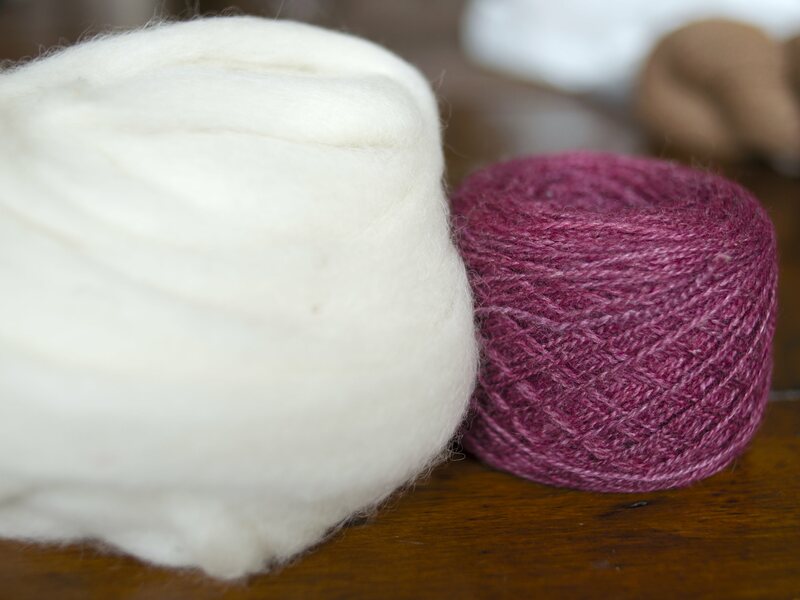 Running my fingers through the silky raw fibre and talking to the farmers helped me think about knitting in a way that had never occured to me before. 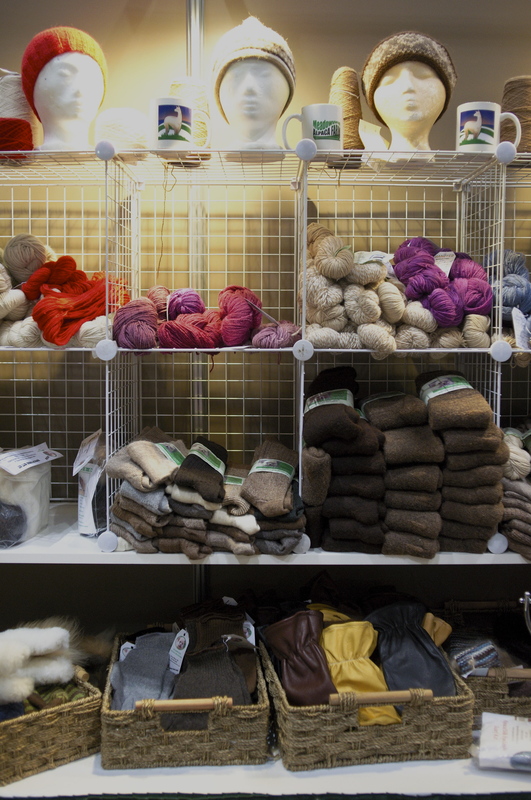 For all my rhapsodizing about the beauty of making my own clothes, I had never really stopped to think about where all those saturated colours and textures at my local yarn come from. 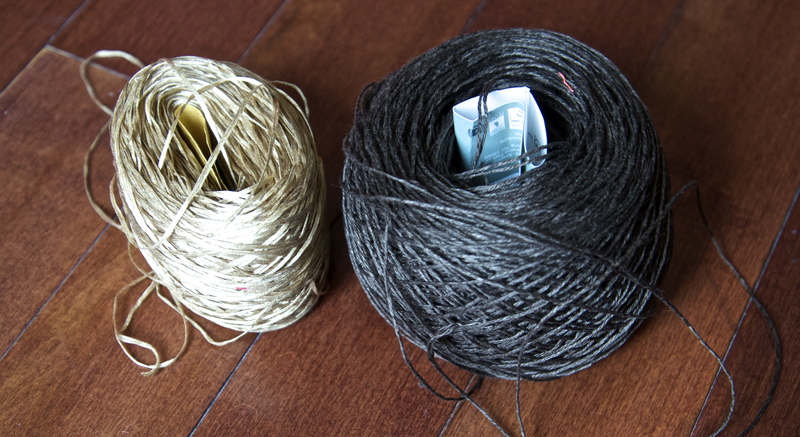 I picked up this particularly soft, brown sock yarn and two thrum mitt kits. I tried on a pair of these toasty marvels and had the technique for stuffing the mitts with fluffy lining demonstrated to me. Tonight, I’m very tempted to abandon my holiday gift knitting and experiment with the thrum mitts – we’ll see how long my self-discipline holds out, and I’ll definitely keep you posted on what becomes of farm fresh alpaca yarn. 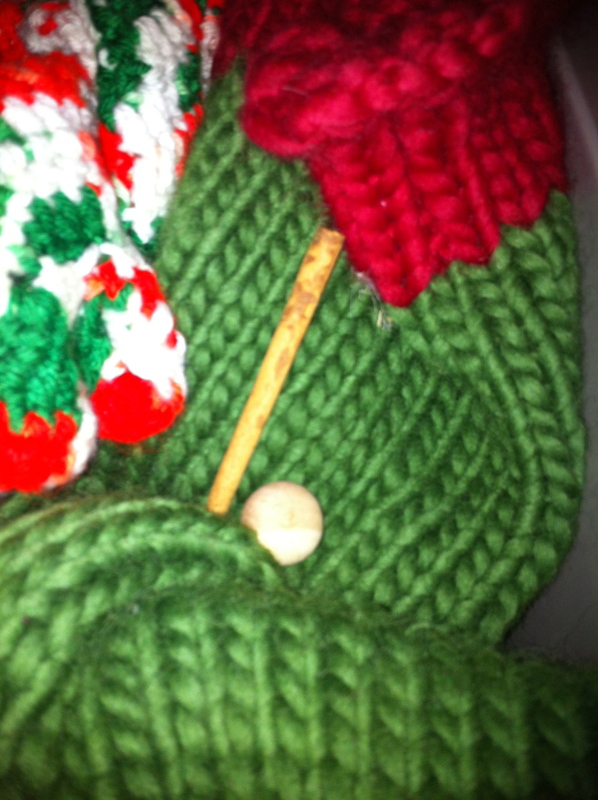 This entry was posted in Yarn and tagged alpaca, Royal Winter Fair, yarn on November 12, 2012 by lisagono.